Search our massive selection of Resurrectionists Miniatures, Figures, and Models to build a custom Resurrectionist Army. We have cool trade ins and brand new unpainted and unassembled miniatures. 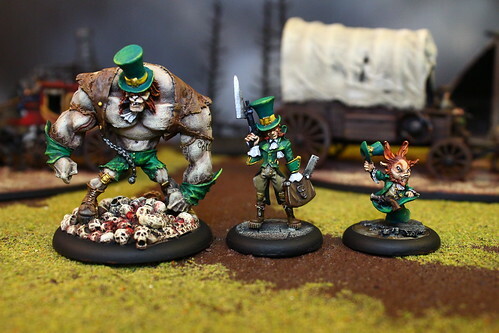 The Resurrectionists Faction are hated by every other faction and citizen in Malifaux hands down. Their blatant lack of respect for the dead makes them one of the biggest targets for the Guild and even for other factions. The Resurrectionists, if you haven't guessed by their name, reanimate the dead. They use these lifeless puppets to do their bidding. 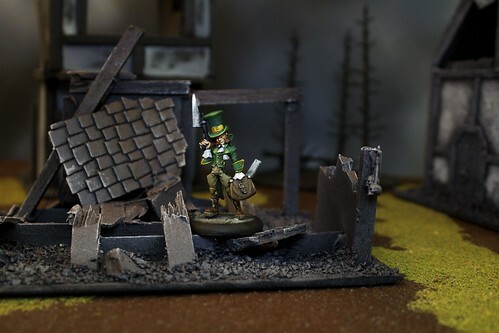 The good people of Malifaux have to worry about the Neverborn creatures and other terrors stalking their city, and now they have to worry about the rising of the dead. Their are mortitions, doctors, undertakers, and other insane individuals who take part in this faction. Build your own resurrectionist army and wake the dead.